Lady Hornets top Williamson, 47-33. Lady Hornets top Coudersport, 57-43. Lady Hornets top Northwest Area, 40-30. Wyalusing knocks Lady Hornets out of District contention. Lady Hornets nudge Williamson, 52-50. Lady Hornets drop close game to Troy. Lady Hornets fall to Athens, 37-31. Lady Hornets hang on for win over Towanda. Lady Hornets crush Williamson, 74-26. Lady Hornets upset Wyalusing, 35-32. Lady Hornets fall to Troy, 43-32. Panthers top Lady Hornets, 63-59 in OT. Lady Hornets fall to Mansfield, 48-40. Lady Hornets fall to Athens, 35-26. Lady Hornets top Towanda, 40-25. Lady Hornets top Liberty, 60-39. Lady Hornets top Troy in Booster Club Tournament. Lady Hornets fall to Williamsport in Holiday Tournament. Ingerick's 24 leads Lady Hornets past Canton. Girls basketball falls to Northeast Bradford. Lady Hornets 3rd at Muncy Tournament. Williamson tops Lady Hornets to win NTL West. Lady Hornets key second half rally for win at Liberty. Lady Hornets hand Williamson first league loss. Lady Hornets top CV, 43-28. Marple's 29 leads Lady Hornets over Mansfield. Lady Hornets end skid against Canton. Lady Hornets down Northwest for 3rd place at Muncy. Lady Hornets drop North Penn. Lady Hornets knock off Mansfield. 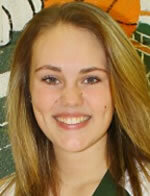 Lady Hornets drop sixth straight game. Lady Hornets blown out against Towanda. Lady Hornets Varsity Squad Falls to Sayre. Disappointing loss for Lady Hornets. Another Close One for Lady Hornets. Lady Hornets come out on top against Liberty. Lady Hornets pick up exciting win. Hornet Girls fall in Tournament Final. Tournament action: Sayre tops Mifflinburg in South Williamsport Tournament. Athens falls to Williamsport; Wyalusing tops Wellsboro to end their season. Athens tops Troy, claims division title. Troy rallies past Wellsboro; Mansfield tops Sayre. Athens escapes Wellsboro, keeps one game Division lead. Northeast Bradford pulls away from Sayre; Wyalusing beats Athens in OT. Sayre girls top CV to clinch spot in districts. Ceely leads Troy girls past Wellsboro. Waverly girls edge Notre Dame. Davey-Bostic leads Mansfield past Sayre. Big second half pushes NEB past North Penn; Mansfield edges Liberty. Wyalusing wins opening game at Waverly Christmas Tournament. NEB girls hold off Elk Lake. Sayre girls down Northeast Bradford. Wellsboro tops Williamson, takes NTL West lead. Sayre girls edge Towanda, 31-29. Wyalusing girls edge Mansfield, 50-48. Williamson edges Towanda, Sayre, NEB, CV, Mansfield, Athens pick up wins. Mansfield rolls to tournament title. Benson nets career-high 31 to lead Trojans to win.